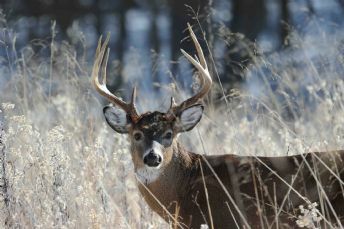 I spent the better part of 6 weeks trying to get in position to photograph this 10 point buck in Pennsylvania. About 30 seconds into the video you will see this beautiful buck look right at me - my blind is in the brush pile. Click the YouTube icon below to watch the video of this buck. Photo: Nikon D3x with a 600mm lens.